SBD International Airport offers an excellent opportunity for aircraft maintenance, air cargo, and general aviation operations looking to establish or expand their presence in Southern California. Our modern airport infrastructure includes first-class hangars and runway, a thriving business complex, ground support services, on-site maintenance and repair operations, as well as dedicated customer service from our airport team and Southern California’s Premier Fixed Based Operator, Luxivair SBD. To learn more about aviation development at SBD contact Mark Gibbs, Director of Aviation, at (909) 382-4100 ext. 131. 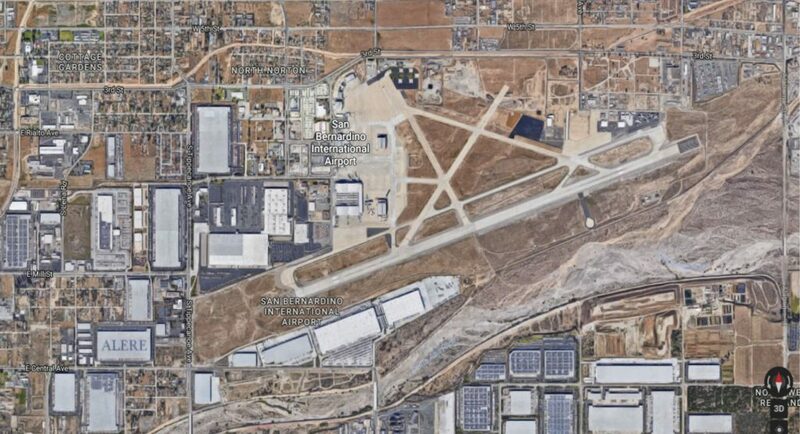 For more information regarding the San Bernardino International Airport (SBD) please visit, www.sbdairport.com.